What Kate Baked...and baby! 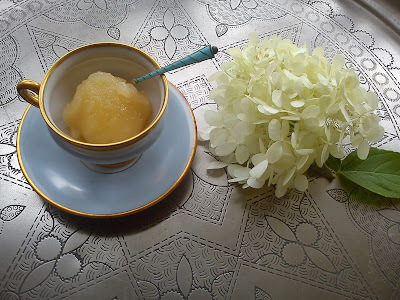 : August Tea Time Treats: The Round-Up! Inspired by the glorious warm summery weather this month's theme was Ice Creams, Jellies and Chilled Desserts. Grab a sun lounger, pop on your sunglasses and enjoy August's Tea Tim Treats table! 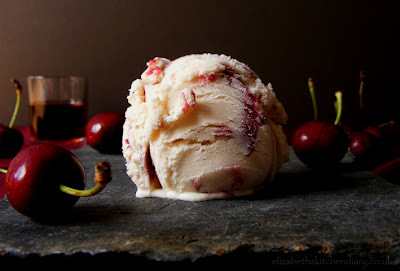 Elizabeth's Kitchen Diary was first to the Tea Time Treats Table with this brilliant and beautifully photographed Brandied Cherry Ice Cream, an indulgent, grown-up version of one of Elizabeth's favourite childhood ice cream flavours. I do love a light, creamy Panna Cotta and Katherine from Leeks and Limoni has made a luscious Lavender Scented Panna Cotta. 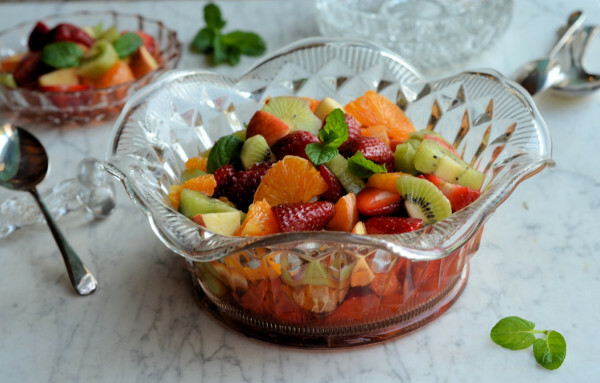 A truly great Itaian dessert with a lovely, summery twist. 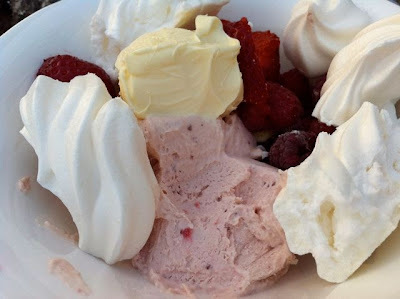 A great tip from Chocolate Log Blog accompanies this rather marvellous Roasted Strawberry and White Chocolate Ice Cream- by roasting the fruit, the flavour is even more intense. Perfect! 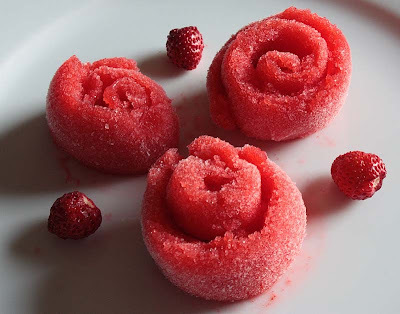 Kitchen of Kiki has made not one but two delicious sorbets: a Rhubarb Sorbet, using fruit from a kind friend's garden and a scrumptious Apple Sorbet! Three cheers for Chit Chat Chomp who, despite living the other side of the world and therefore in the midst of a cold and frosty winter in Melbourne rose magnificently to the TTT challenge with this yummy Banana Ice Cream. I'm sure she'd much rather be baking warmer pies and crumbles so a big thank you for entering this rather chilly themed TTT! Back to the freezer compartment with this Honey and Ginger Ice Cream with Balsamic Vinegar from Carrington Lane Bakery. A classic and enticing flavour combination for sure. Unsure quite what to call this bake (Could it be a mousse? A tart? A pie?) Suelle from Mainly Baking sensibly settled for following one of those enigmatic restaurant menus that simply list the key ingredients of a dish to describe this heavenly Rhubarb and Ginger pud. I love the name 'Grasshopper Pie', an American Mint and Chocolate Pie. And just take a look at this tempting, tasty version by The More Than Occasional Baker! 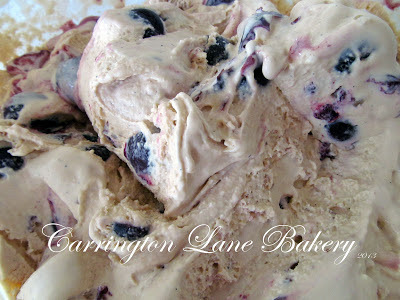 What do you get if you combine one of my favourite cakes with frozen cream? A delectable Carrot Cake Ice Cream by Under the Blue Gum Tree! And the leftover carrot cake is considered a baker's bonus- Brilliant! 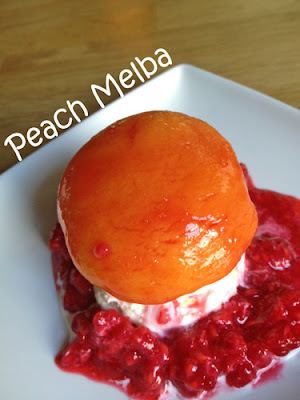 Farmersgirl Kitchen has made the TTT table this marvellous retro classic pud that is Peach Melba. If I remember rightly, Nellie, an Australian Opera singer inspired the French Head Chef of The Savoy, Auguste Escoffier when she performed Wagner's Lonhengrin in London in 1892. He celebrated her performance by promptly naming his new peach and raspberry dessert in Nellie's honour. Way to go Nellie! 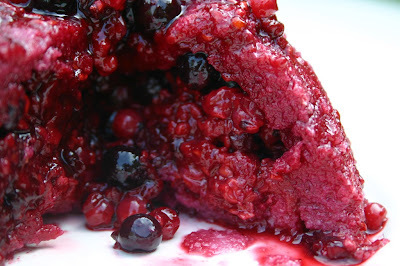 Dom over at Belleau Kitchen has captured summer between a few slices of bread with this classic, delightful Summer Pudding, a tea time treat if there ever was! 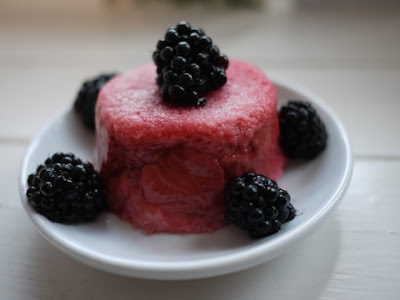 I too made Summer Puddings for this month's TTT- little individual portions that mean you can enjoy several in one sitting and not feel at all guilty! Our final entry this month is thbrilliantly nam 'NotablockerGlory' from Baking in Franglais. In the manner of an episode of Ready Steady Cook and using a random selection of ingredients found in their French home Jean made this fabulously fruity affair complete with delicious peaches, yummy French biscuits and lashings of cream! I had all good intentions ........well maybe I can get my act together next time. Great round up. 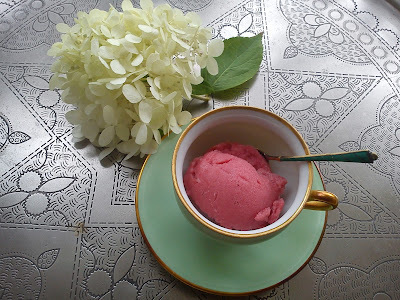 Some many interesting ice cream recipes to indulge in ! I have just got myself a more professional version of an ice cream maker, so I do not have to freeze down the bowl between each run of ice cream. Sorry I didn't get around to joining in this month, but I've been enjoying drooling at the round up! Some great entries! Going to go have a further look at the Carrot Cake Ice Cream right now!! Excuse me while I wipe my drool ;-) Everything looks so good and so perfect for the warm summer we've been having. Fabulous round up as always! Ooh yummity yum - it's still summer, so plenty of time to enjoy these. Thanks for the roundup. Yes please - one of each! Yum, thank you so much for hosting.